The Whale Gulper 220 Shower Waste Pump is a non-clogging filterless waste pump built on more than a decade of market leading pump technology. 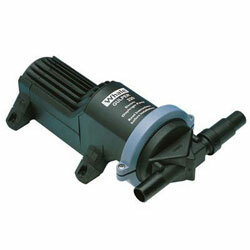 An ideal pump for handling shower or sink drain gray water waste. Pumps hair, fingernails, food debris, etc.